We're here for you because, after all, there's More To Life! Women’s bodies go through a lot during pregnancy. The challenges of pregnancy are varied and diverse, with some being more difficult than others. It effects all aspects of women’s well being – physiology, mental and emotional states, and spirituality. Pregnancy can be an amazing and beautiful experience with many positive aspects too, but it’s important that expectant mothers know about the possible challenges and have an understanding of self-help tools and complementary therapies that can help ease the difficulties, uncertainty, fears and anxiety. Reiki is one of these therapies. Some of the most common challenges that women face during pregnancy include morning sickness (during the first trimester), feeling faint or hotter than usual, aches and pain, muscle cramps, insomnia, mood swings. In addition to these difficulties, hormonal fluctuations are normal during pregnancy and can often cause certain changes to women’s skin and hair, such as the darkening of skin, birthmarks, freckles, and moles, increased hair growth sometimes resulting in seemingly greasier hair, and heightened sensitivity to sunlight . Less common pregnancy-related afflictions include high-blood pressure (hypertension), gestational diabetes mellitus (GDM), and UTIs. Some women may experience emotional difficulties during pregnancy as well, including feelings of depression and an inability to concentrate . The rapid changes and uncertainty of what to expect can cause a cascade of unwanted side effects. Every woman’s pregnancy is unique. Different women may have variety of combinations of problems at varying degrees of severity. For all of the above-mentioned challenges that pregnant women may face, Reiki is a valuable healing resource. 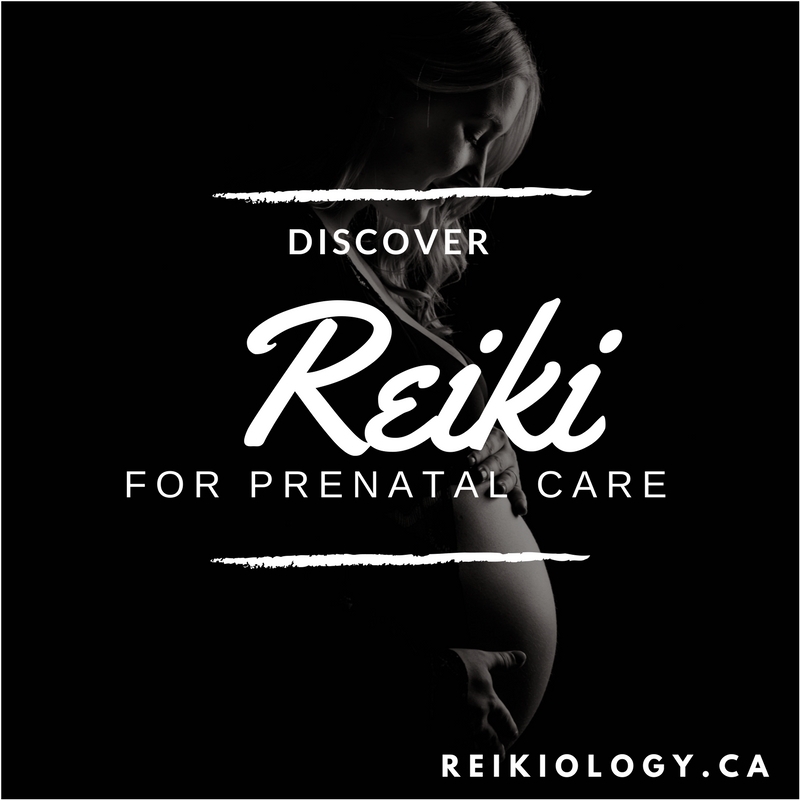 As an energy therapy, Reiki is a gentle hands-on method that eases the discomforts that pregnancy brings and helps mothers-to-be to overcome their pregnancy-related difficulties. Pregnancy is an intense time spiritually for women, as well as physically and mentally. Reiki’s ability to work with all the different dimensions of one’s being make it a particularly beneficial treatment for pregnant women. Reiki is an intuitive, intelligent source of energy. It flows to wherever it is needed and understands exactly what each patient needs. For example, Reiki can help women who are having emotional problems during pregnancy by providing a calming energy that is relaxing, uplifting, invigorating all at the same time. Reiki relieves aches and pains that are very common in the second and third trimesters by unblocking the channels and increasing blood flow. After a Reiki session, the patient can expect to feel rejuvenated and at peace. In addition to healing and aiding the mother during pregnancy, Reiki will flow to the baby too, meaning that any problems the baby may have can be relieved at the same time. Both mother and baby will feel nurtured, nourished, calmer and healthier after each Reiki session. Reiki energy works by flowing to where it is needed and eliminates the root cause of the issues. This ability to identify and balance the core cause of symptoms is what makes Reiki an especially effective therapy for pregnant women. This unique energy modality resolves many problems associated with pregnancy by working with the pregnant woman’s own energy to ease severe hormonal fluctuations and relax the body. Reiki can also benefit the spiritual and physical connection between the mother and her baby by working on multiple energetic levels to bring the two individuals’ energies into harmony with each other. Reiki’s gentle and intuitive nature make it a perfect therapy option that every pregnant woman should consider.